Great deals at Bon Marche! 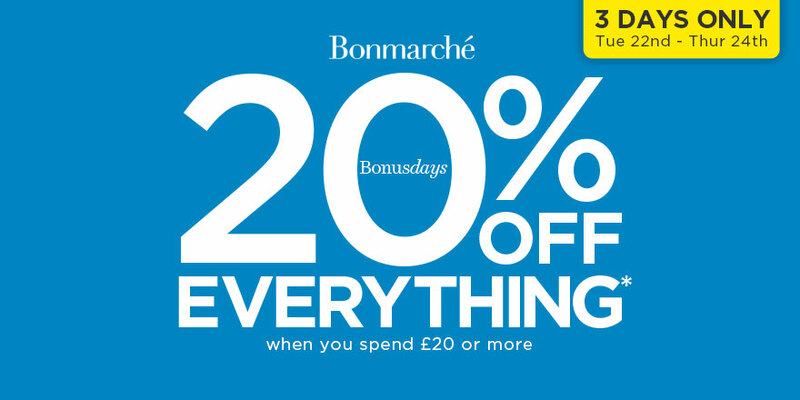 Up to 20% off at Bon Marche Tuesday 22nd – Thursday 24th May. Don’t miss out! !